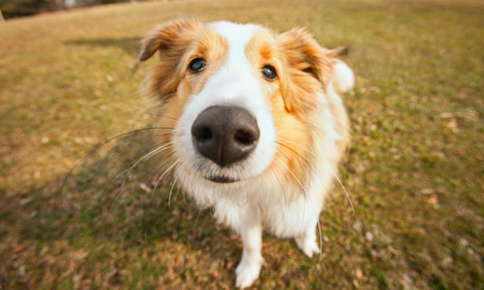 Have you ever heard that a wet nose is a sign that your pet is healthy? Although that's often the case, it's not always true. A moist nose can benefit your pet in several ways, but it doesn't necessarily guarantee good health. How Does a Wet Nose Help My Pet? Have you ever been woken at 5 a.m. by a cold, wet nose rubbing against your hand or face? Although the ability to easily wake lazy humans is certainly one advantage of a wet nose, your dog or cat benefits from a moist nose in a few other ways. Scents are very important to your pets. Animals mark their territory by leaving subtle scent clues when they rub against people and objects. Outside, pets set boundaries by urinating or defecating in strategic places. When other animals sniff those scents, they understand the message your pet is sending. A wet nose enhances your pet's ability to identify scents. Microscopic scent particles float through the air and land on your pet's nose. If the nose is wet, they'll stick to it rather than falling off, which makes identifying odors much easier. A wet nose also helps keep your pet cool. As moisture evaporates from the nose, it provides a cooling effect. Luckily, it's easy to restore lost moisture with a simple swipe of the tongue. Can My Pet's Nose Be Too Moist? A wet nose isn't always a good sign. If your pet's nose is suddenly very wet, an upper respiratory infection may be to blame. When dogs and cats catch a cold or other virus, they may experience runny noses just like people do. Is a Dry Nose a Bad Sign? A warm, dry nose isn't necessarily a sign that your pet is ill. Some dogs or cats naturally have dry noses. Even if your pet normally has a cool, wet nose, it may tend to become dryer and warmer after a nap or a few hours spent in the sun. Dryness may also be a natural effect of aging. A dry nose can be a sign of dehydration or illness, particularly if your pet's nose is usually wet. You can tell if your pet is dehydrated by examining its gums. Dehydration often makes the gums look pale instead of pink. The scruff test offers another way to determine if dehydration is a problem. Perform the test by gently pulling up on the skin on the back of your pet's neck. If your cat or dog isn't dehydrated, the skin will quickly snap back against the body. It will take a few seconds for the skin to return to normal if your furry friend is dehydrated. Has your pet's nose suddenly become dry and warm? Call us to schedule an appointment to find out if a health issue is the reason for the change. Dog Health: Does a Dry Nose Mean My Dog is Sick? VetStreet: Why Does My Dog Have a Wet Nose?